What are some common household dangers to cats and dogs? Many household objects can be dangerous to cats, dogs, and even children. Kittens and puppies are probably at the biggest risk, since they are so curious. But, many items can tempt even adult cats and dogs. This list is not complete – try to look at your home from your pet’s perspective, and be aware of the following common threats. Particularly cats can be fascinated by all forms of string – from shoelaces to tinsel – but some dogs will also chew up rope or even underwear and encounter a similar problem. The string can entangle itself around the pet’s tongue while the rest is swallowed. Even if the entire string or item is swallowed, it can cause internal injuries and blockages. Many pets die from this every year. Avoid expensive surgery through keeping your pets safe from string, yarn, dental floss, tinsel, ribbons, shoe laces, bows, rubber bands, and similar. Pets have a lower resistance to poisons than humans and even small amounts can cause liver damage and kidney failure. Prescription medicines are dangerous of course, but also common household painkillers such as Tylenol and Aspirin. If you think your pet has ingested something like this, call your vet. As an example, one pill of aspirin can cause a fatal overdose for a cat. Candles might not be tempting to eat, but it only takes one swish of a tail to knock a candle over. Not to mention the risk of burning a curious nose. An adult human would never consider eating a detergent pod. But, their shape is perfect for batting over the floor, and the bright colors look like candy to many children. Keep detergent out of reach. In the world today, most people know not to give their pets chocolate. 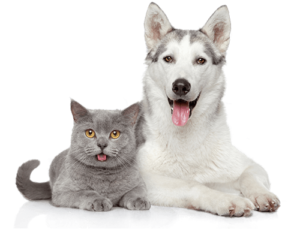 Alcohol, grapes, raisins, yeast dough, and many other things we digest can also be very dangerous to pets. Pets shouldn’t eat peaches or apricots, because the seeds contain cyanide that may leak into the fruit – it isn’t enough to matter to a human, but can be enough to harm a pet. Lilies are gorgeous, but potentially deadly to cats. Even if your cat doesn’t bite the flower, pollen may get on the cat’s coat and be digested when the cat washes itself. For more information on toxic materials, visit petpoisonhelpline.com. If you think your pet ingested something toxic, call your vet or the nearest emergency clinic. You can also call the ASPCA Animal Poison Control Center at 888-426-4435.